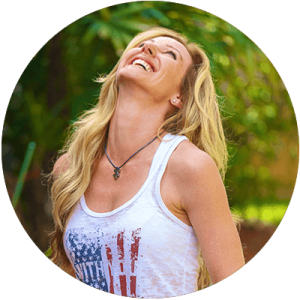 Here, you’ll find links to the products I use to facilitate a fun, healthy, happy lifestyle. 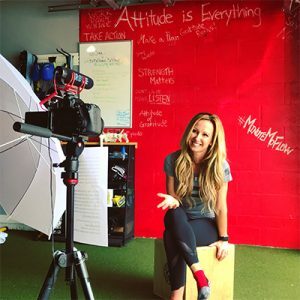 Because so many of you have asked, I’ve also included links to the equipment I use for my online filming. As I post on social media and in my blogs about different life hacks and new product discoveries, I’ll continue to update this section. After I did a #MorningPerson Instagram story, showing my coffee brewing and coconut milk steaming, I got nearly a dozen DMs inquiring about my milk steamer. So for those of you who are as serious about your coffee ritual as I am, here’s the info: I bought my steamer 3 years ago for $49. I love it and use it every morning. But mine is no longer available, so, this is a link to a very similar one for only $38, if you want to give it a try. Everybody poops. And every human body is designed for low squatting elimination—not high sitting (and straining), like the position conventional toilets require. 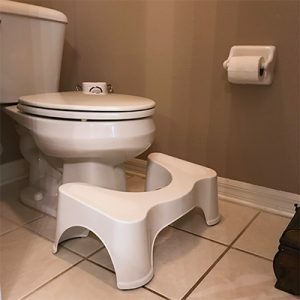 Not only do I believe Squatty Potty fosters better personal “plumbing,” I also think it can help with back pain and posture. It’s a genius product I can’t recommend enough! We have one in all of our bathrooms, and, even one of the pro teams, where I work, has them in all their locker room stalls. 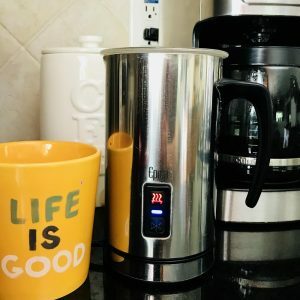 Two years ago, I decided to give Instant Pot a try when it was on sale on Amazon Prime Day. Since then, I have used it at least a few times every month, making the easiest, fastest, most delicious pulled pork, shredded chicken, one-pot meals and so much more. Crock pots take all day and aren’t as versatile. You can use one pan to sauté and pressure cook all of your ingredients in a fraction of the time. 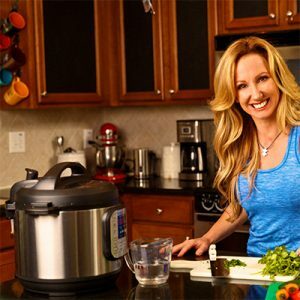 LOVE, love, love my Instant Pot! What can I say? I love to spend a little extra time in bed with coffee, my computer and some extra canine cuddles. 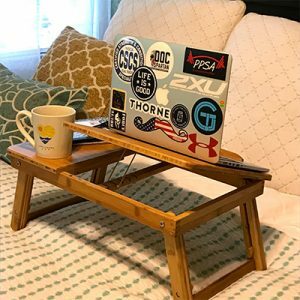 I tried other adjustable lap desks and they were either too cheap, ugly or too difficult to fold. This folds up nicely and fits between my bed and the nightstand. I also often use it on my desk as a stand-up desk option. This was a big spend, but, after researching all my options, I found this camera to be the most versatile and popular among YouTubers and influencers. Also, my friend who owns a video production business has owned an older model for 9 years and still finds it useful, so this camera has longevity, making it worth the investment. As someone who only knows the basics of three-point light set up and doesn’t want to spend a lot of time adjusting light for each shoot, these umbrella lights work great and were inexpensive for the quality and versatility they offer on adjustable tripods.